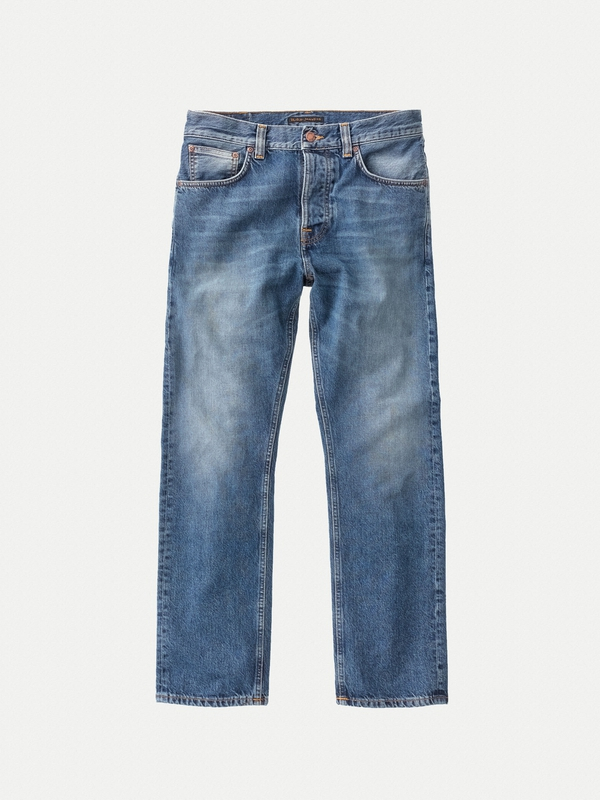 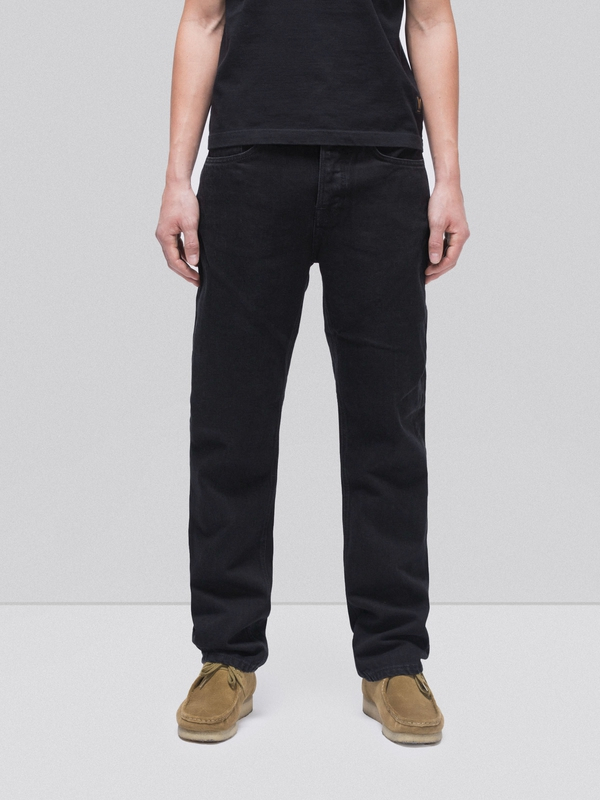 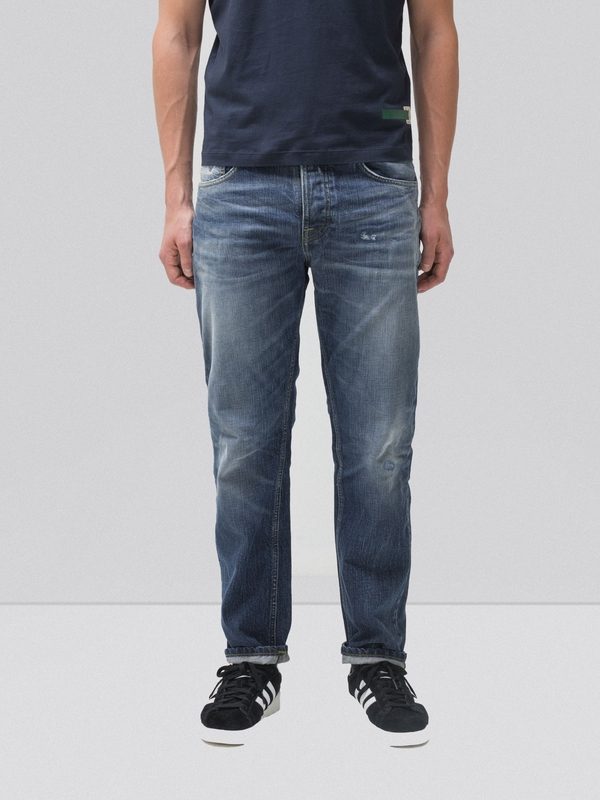 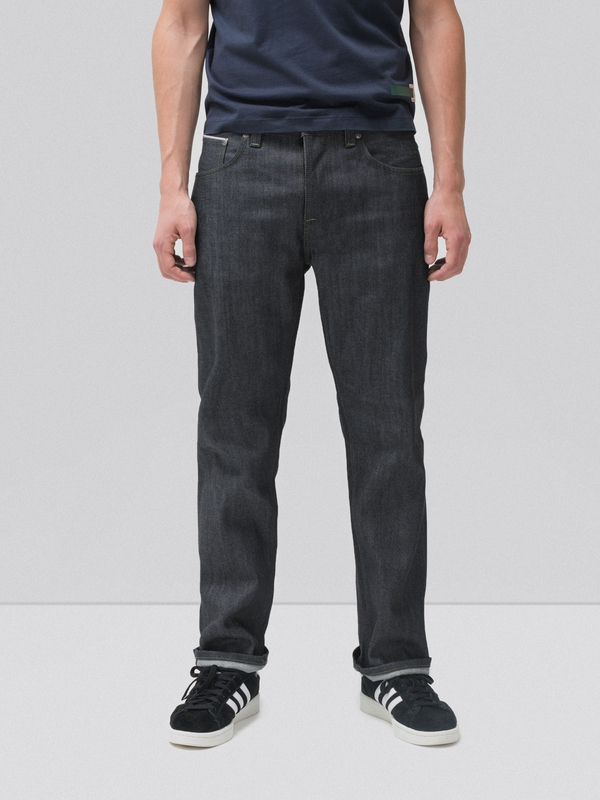 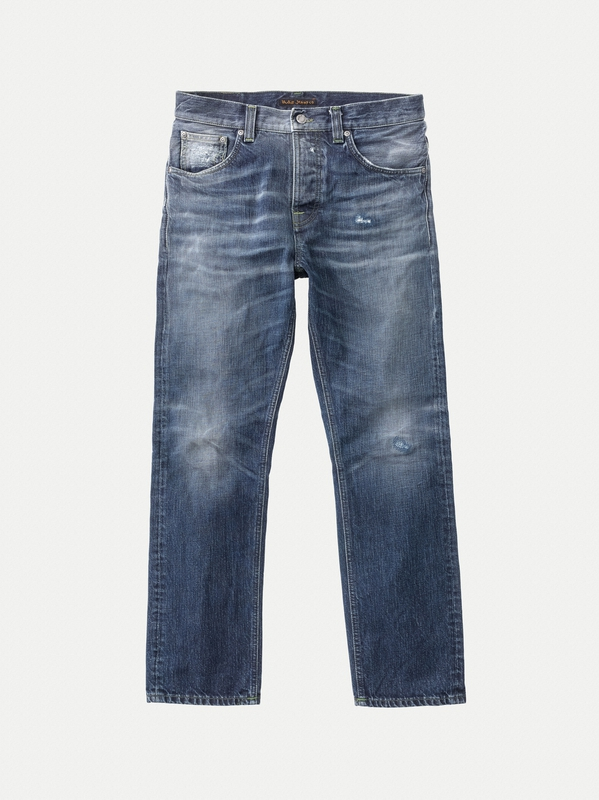 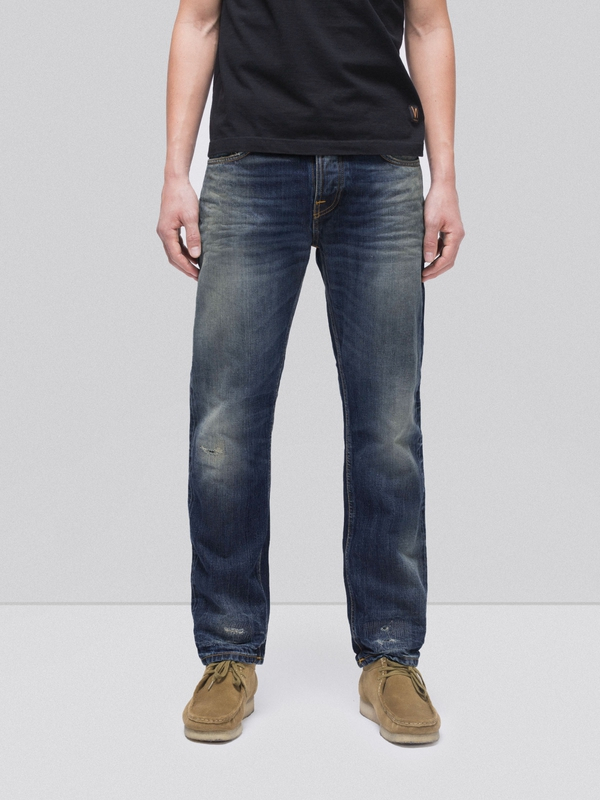 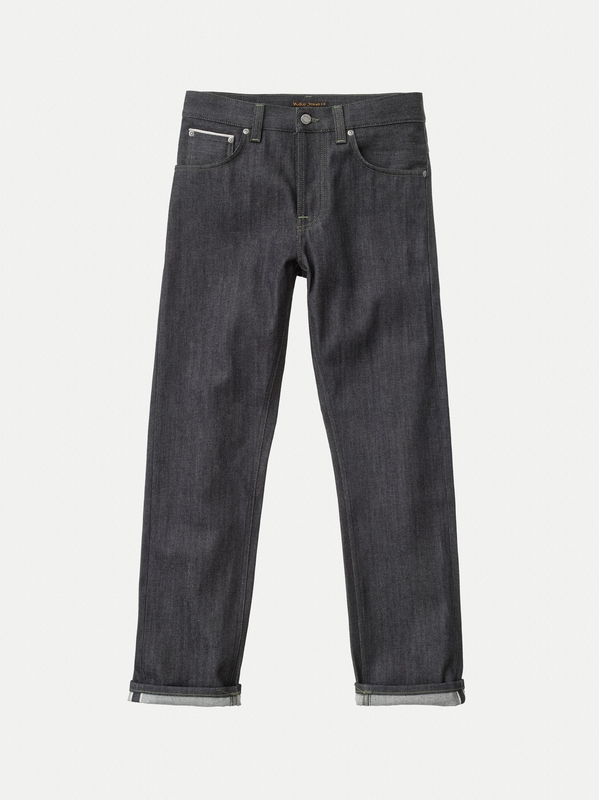 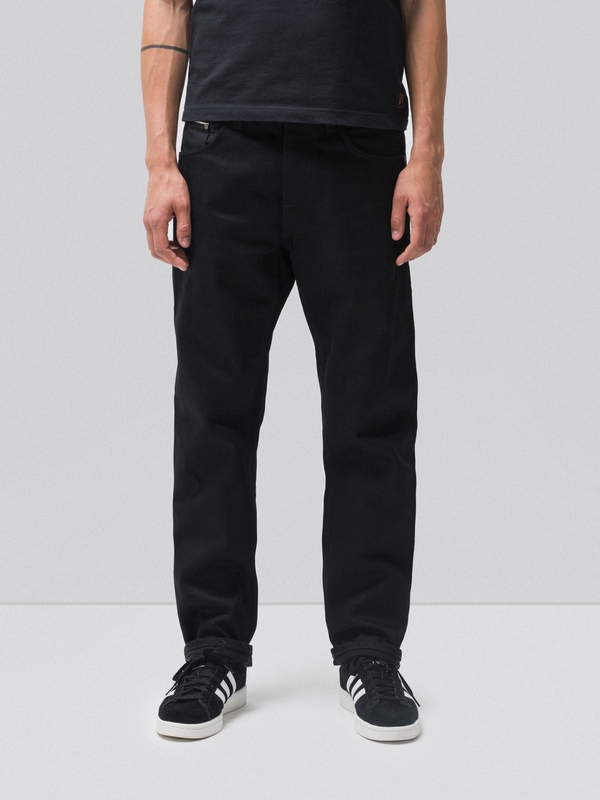 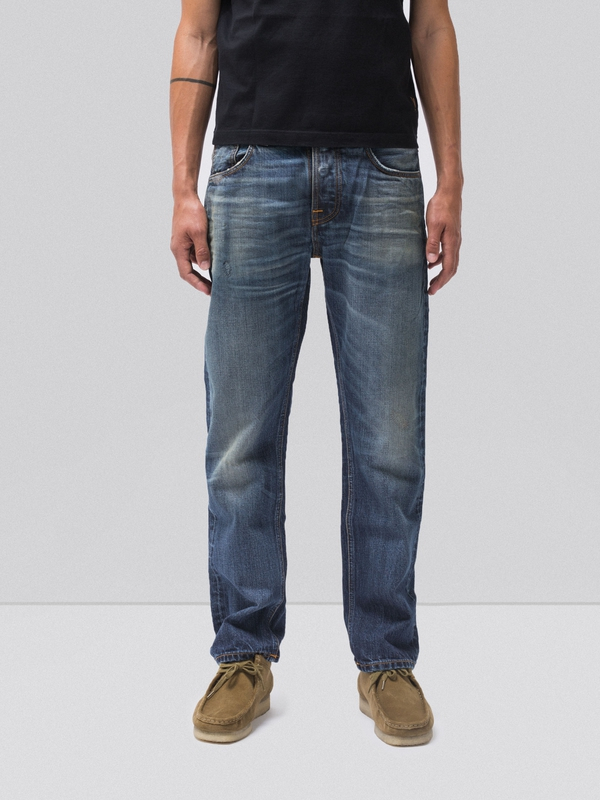 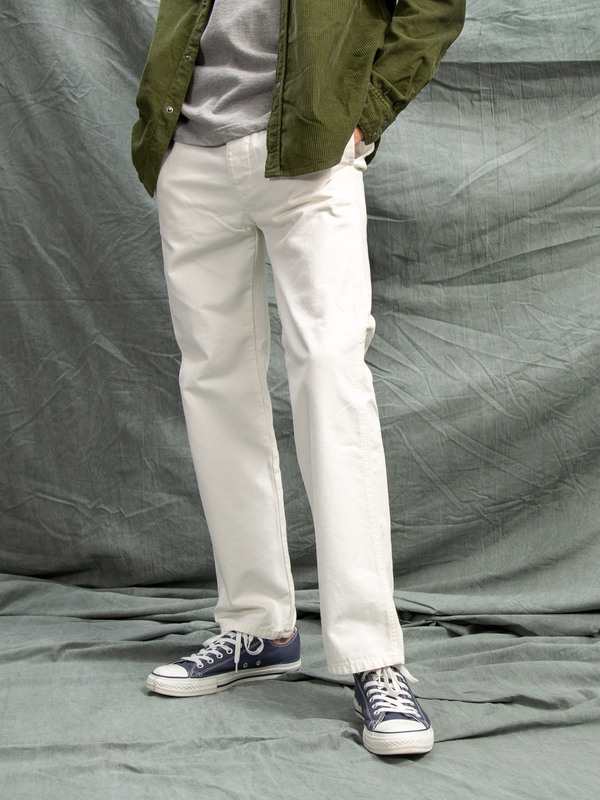 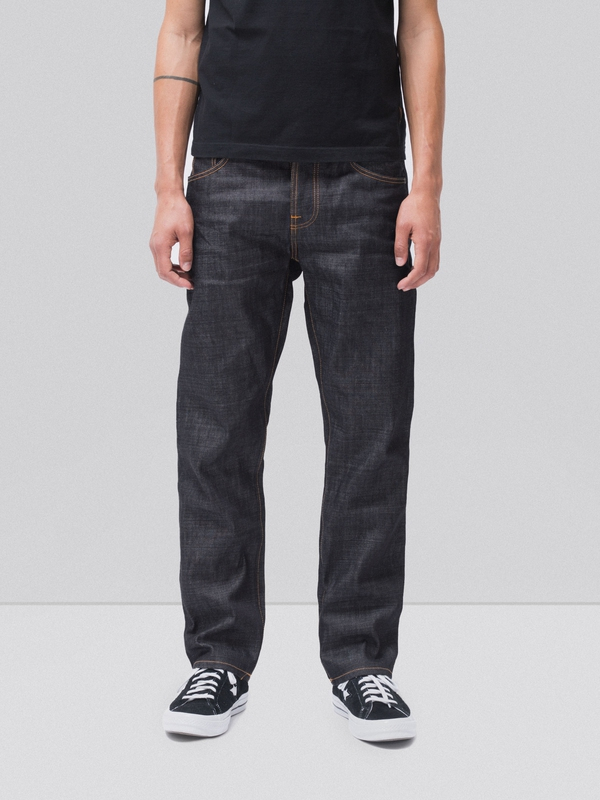 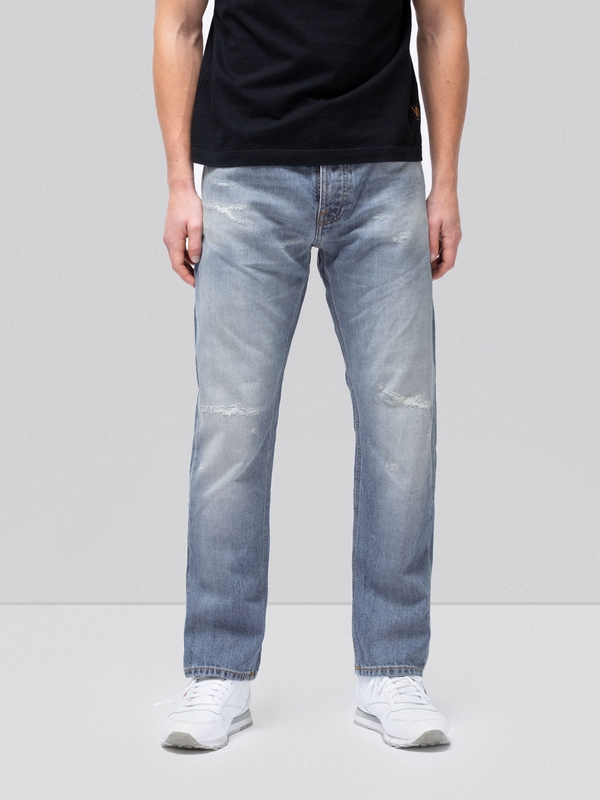 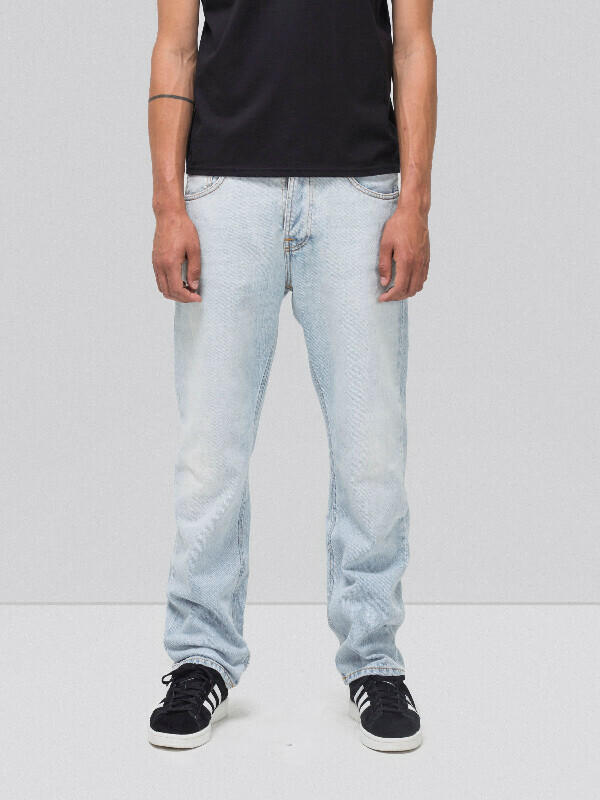 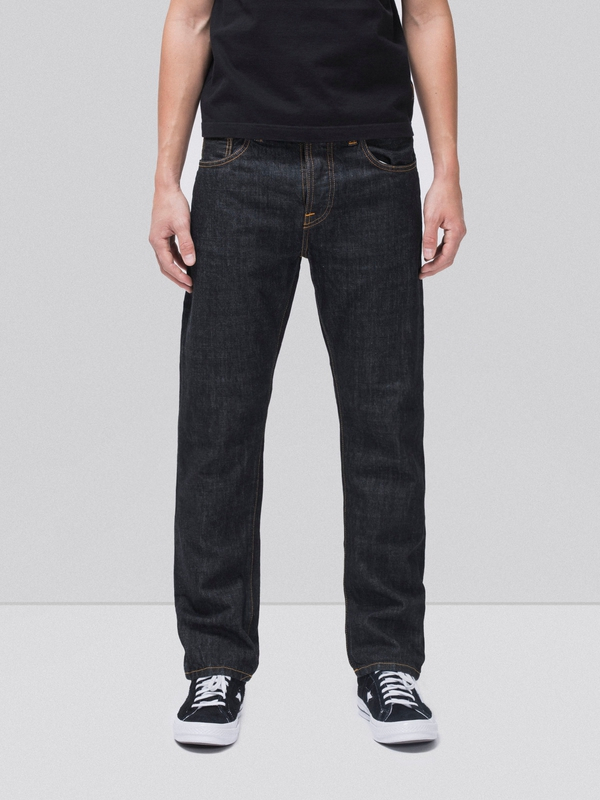 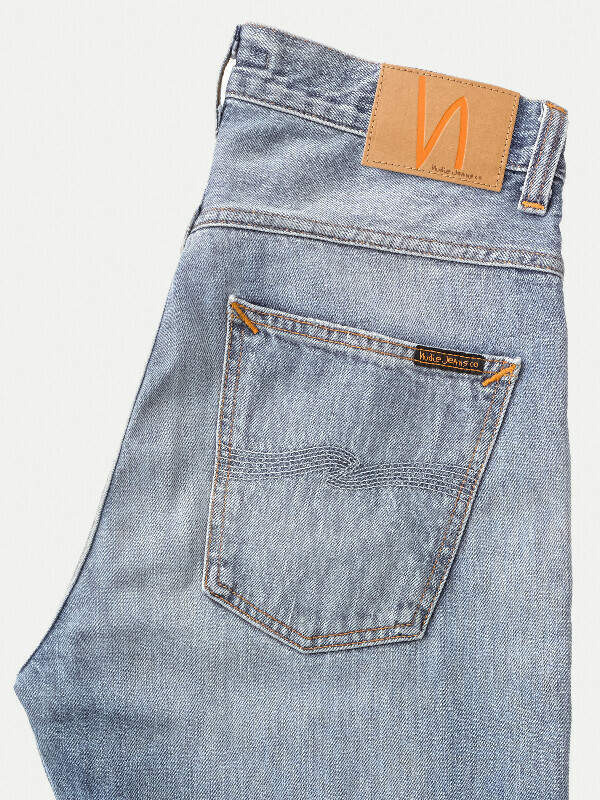 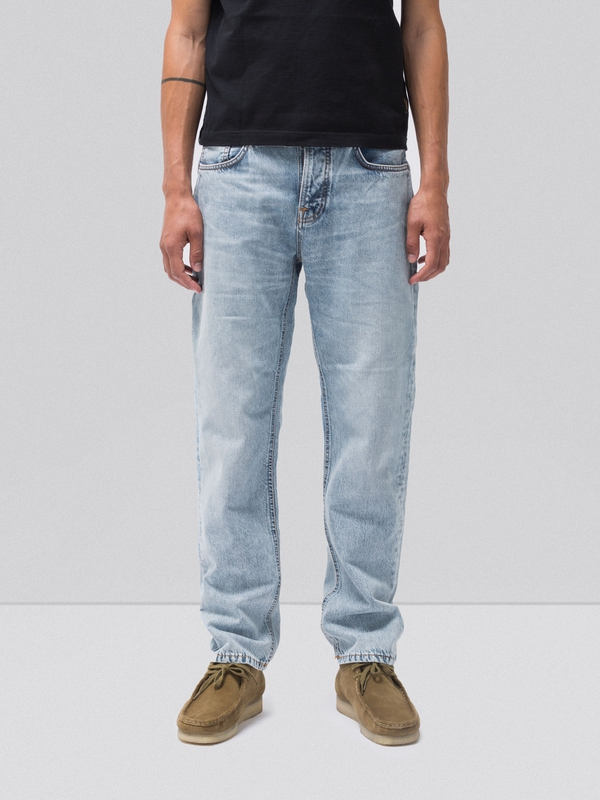 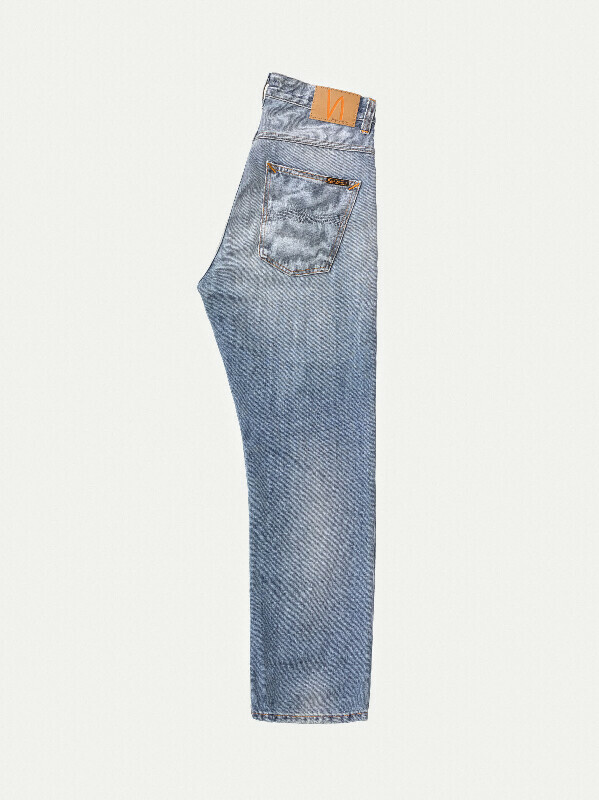 Jeans made in rigid denim with a clear twill structure and slightly slubby warp yarns. 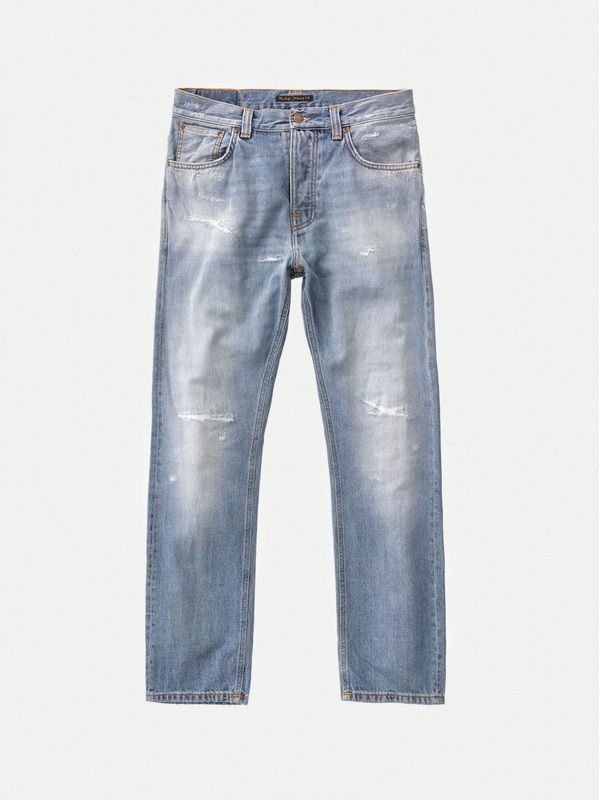 The wash has enhanced the denim structure and given these jeans its brightness while keeping the mid-blue tones at seams and folds. 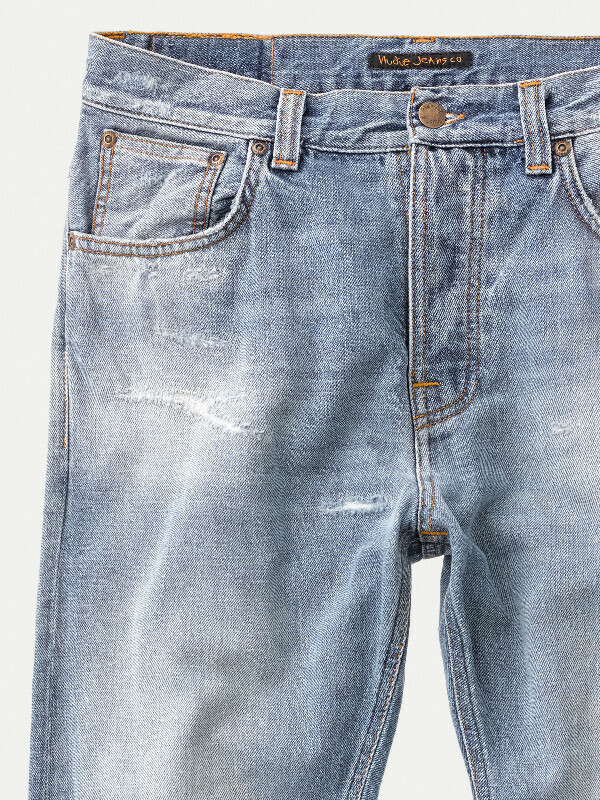 The heavy wear marks have been repaired and reinforced by darning, replicating a worn and repaired pair of jeans that has been cared for by one of our denim wizards at a Repair Shop.